I did this design for my daughter's pillow cover. 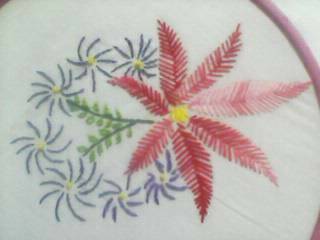 For the red flower i used fishbone stitch and for the blue flowers and stem back stitch, for leaves lazy daisy and centre of blue flowers french knot. 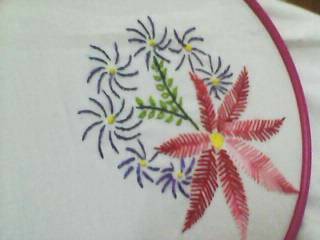 Your embroidary design is beautiful. This is AWESOME! Simple stitches and beautiful too..